Michael D. Huber is a founding member and managing partner with extensive trial experience in state and federal courts throughout the country. He has been awarded the highest possible Martindale-Hubbell distinction by both peers and the Judiciary (AV Preeminent). Mr. Huber has over 30 years of experience in the prevention, supervision, preparation and trial of complex tort and commercial litigation throughout the United States, concentrating in catastrophic loss cases. Mr. Huber received his juris doctorate with honors from the Indiana University School of Law. 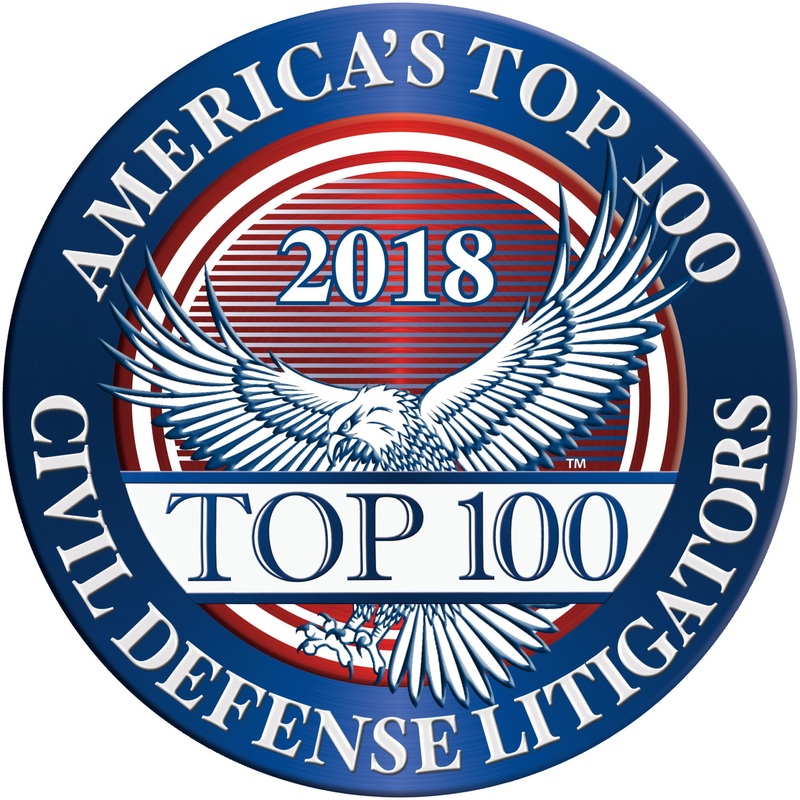 He has consistently been selected as an Illinois Leading Lawyer in both Product Liability and Medical Malpractice Defense, and as an Illinois Super Lawyer by Law & Politics Magazine in Defense Litigation. He is a Senior Fellow of the Litigation Counsel of America and the American Academy of Trial Counsel. Mr. Huber is a frequent presenter and writer for various medical groups, the Defense Research Institute, the Trucking Industry Defense Association and the International Association of Defense Counsel, having served as a faculty member for the IADC Trial Academy. 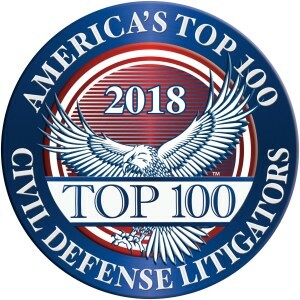 His presentations at legal and business conferences span a wide array of topics including complex commercial, professional, medical, transportation, construction and products liability defense, jury trial innovations, limiting damages and preventative law techniques. Mr. Huber also serves in the capacity of private mediator and arbitrator in a wide variety of actions and as an expert witness in bad-faith and professional liability matters. Indiana University Maurer School of Law, Bloomington, IN, J.D. Different Roads to Deep Pockets Preventing Alternative Routes of Liability Against 3PLS, with Zachary Shook, TIDA, Spring 2015 – Click to read. “Unlike,” “Delete Post,” “Delete Photo” and “Delete Comment:” The New Buzzwords in Twenty-First Century Spoliation, and Their Impact on the Trucking Industry, with Eryk J. Wachnik, TIDA, 2013-Click to read. From Explosion to Verdict: Controlling Damages in Propane Explosions and Severe Burn Injury Cases, with Stephen Heil, September 2001. The Sins of the Fathers: Offensive Collateral Estoppel Revisited (Co-Author), For The Defense, Defense Research Institute, October, 1999. Speaker at Rush University Anesthesiology Department Risk Management CME Seminar on “Sound Medicine: The Impact of Communication in Healthcare,” November 14, 2018. Speaker at Rush University Medical Center Anesthesia Department CME Seminar, Chicago, Illinois, October 27, 2016. Speaker at Rush University Medical Center Anesthesia Department CME Seminar, Chicago, Illinois, October 29, 2015. Faculty member/speaker at William Scholl College/Rosalind Franklin University Seminar, “Podiatric Malpractice – Revisited III,” Lake Forest, Illinois, October 19, 2015. Speaker at the FDCC/IADC Joint Law Firm Management Conference in Chicago on “Demystifying the Billing Audit Bogeyman,” May 14, 2015. Faculty member/speaker on “Podiatric Malpractice – a Review” at the Annual Meeting of the Illinois Podiatric Medical Association in Lincolnshire, Illinois, October 10, 2015. Speaker at Rush University Medical Center Anesthesia Department CME Seminar, “Technically Speaking…When Medicine & Technology Collide,” Chicago, Illinois, September 10, 2014. Faculty member/speaker at the Illinois Podiatric Medical Association Annual Meeting to the Illinois Society of Podiatric Medical Assistants, “To Malpractice or to not Malpractice, that is the Question,” September 14, 2012. Faculty member/speaker at St. Joseph’s Hospital CME Seminar, “Avoiding Podiatric Malpractice,” Chicago, Illinois, February 16, 2011. Faculty member/speaker at St. Joseph’s Hospital and St. Anthony Hospital Combined CME Seminar, “To Practice or to Malpractice? That is the Question. Avoiding Podiatric Malpractice,” Chicago, Illinois, October 6, 2010. Panelist/speaker at Minnesota Lawyers Mutual Risk Management CLE Seminar, Illinois Update, “Preventing Legal Malpractice Claims & Ethics Complaints in Your Law Practice,” Minneapolis, Minnesota, May 27, 2009. Panelist/speaker at Trucking Industry Defense Association’s inaugural seminar on Defending Cases in Bad Venues (Judicial and Jury Hell Holes), Houston, Texas, January 2004.
International Association of Defense Counsel, Trial Academy Faculty, 2003. COURTROOM 2001 – Courtroom Technology for the 21st Century, Defense Research Institute, 2000 Products Liability Meeting, Las Vegas, NV, January, 2000. COURTROOM 2000 – Mastering the Medium of the Millennium, Defense Research Institute, Mid-Year Meeting, Chicago, IL, September, 1999. Real Estate Broker’s Liability in Illinois, Willis Corroon Claims Seminar, Nashville, TN. Insurance Coverage Issues in Broker’s Liability Cases, Willis Corroon Claims Seminar, Nashville, TN. Defending Commercial Bus Overturn Accidents, Lancer Insurance Claims, Cleveland, OH, 1998. Defending First Party Fraud and Arson Claims, Allstate Insurance Company, Special Claims Unit Seminar, Indianapolis, IN, 1997. National Association for General Contractors & Home Builders, Inc.